Get ready for the new Apple TV. Apple had reimagined the TV experience with tvOS - an innovative TV platform that redefines entertainment and education in the living room. The new Apple TV features a built-in App Store giving immediate and easy access to the App Store's entire offering. Now you can deliver incredible and immersive apps and games on teh big screen using the tvOS SDK and Whole Wheat Creative! 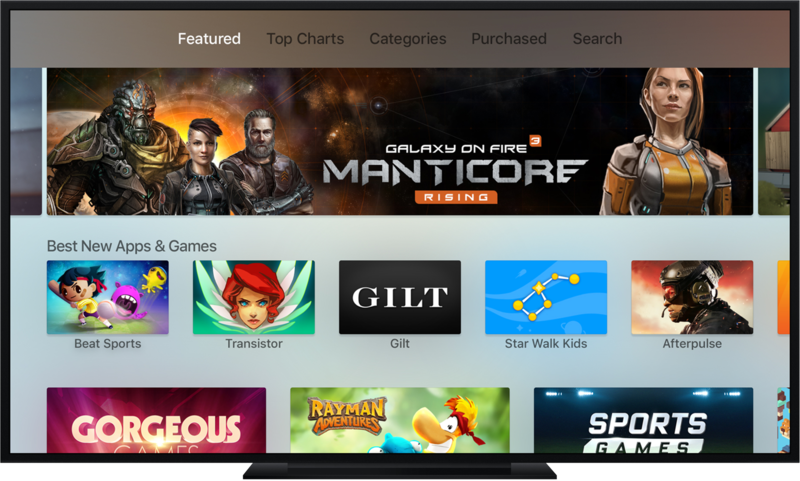 Being a leading Apple Developer, WWC has been selected by Apple to recieve the new Apple TV, weeks before being available to the general public. This gives you the advantage to learn how this new technology can best help you to interact with your current and potential customers. Whole Wheat Creative is a premier provider of apps for the iPhone, iPad, Apple Watch and now the Apple TV. Our depth of industry and product experience makes WWC THE company to create and enhave your tvOS apps using the new operating system; apps that will retain your existing customers; attract new customers and help you reach and exceed your sales goals. Whole Wheat Creative has vast knowledge and experience using the tvOS operating system to develop practical iPhone and iPad applications that really work. We have the marketing discipline to take solid business-growth ideas and transform them into business-savy, easy-to-use apps that connect with your customers. Whole Wheat Creative is a creative advertising firm that fully understands the tvOS operating system and creates apps that serve your customers' and business needs. Well-designed tvOS apps allow you reach new audiences. Developing successful tvOS apps for the new Apple Tv is not difficult when you have Whole Wheat Creative on your team. We listen - from the initial discussion of your concept to having your tvOS app launch in the App Store, we listen to you to make sure we are developing the app you want. Our perspective is creative and intuitive. We present concepts and ideas, but we also understand you have a vision and that is our focus. We work with you through the entire process. All work is done locally and by us - no outsourcing overseas for any part of the project. Our team is streamlined and "bottom-lined." As your partner we strive to develop a lasting relationship; our reputation depends on it; our work is evidence of it. We have a well-established history and solid reputation for producing products and apps that exceed our customers' expectations. If you want apps done right, to work right from day one, let's visit about your project. We're ready to work for you. The first step is to enter your information below.